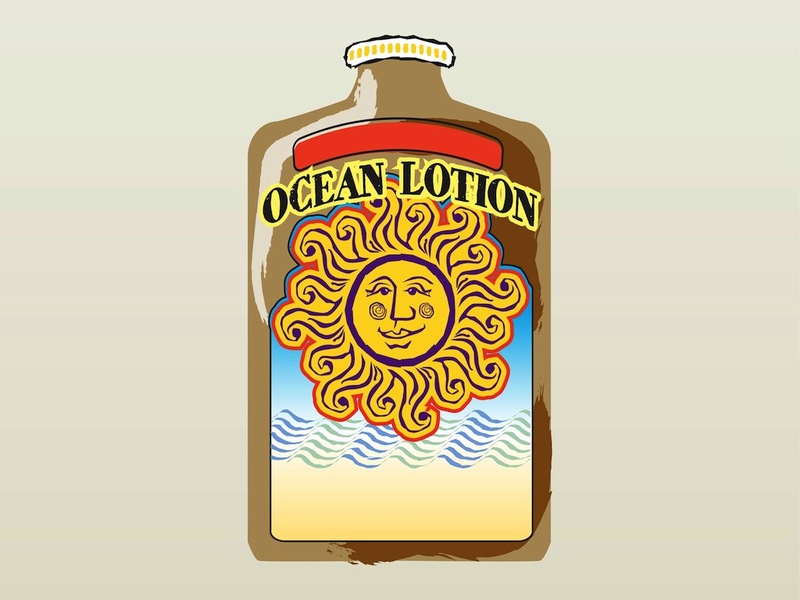 Summertime vector illustration of a bottle of sun lotion. Cosmetic product for sun protection with a very short bottleneck. Smiling sun character and stylized image of a beach on the label of the bottle. Free vector illustration for all sun tanning, summer, beach, skin protection and sun block designs. Tags: Beach, Bottle, Cosmetics, Skin Protection, Summer, Sun, Sun Block.